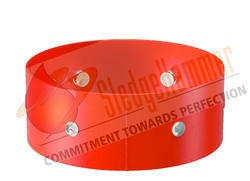 Stop Collars are well-known for their high performance, sturdy construction and long service life. These are manufactured on various quality parameters that meet international standard and norms. These are widely known for electrical purposes, highly durable, strength and are resistive to various adverse conditions. They are available in all sizes. Our products are manufactured utilizing premium grade components and sophisticated technology. We take pride in manufacturing, supplying and exportingHingedBoltedStopCollarwhich is made using quality raw material and advanced technology. They are highly appreciated for their robust design and easy installation process. These instruments can be availed by our customers at market price. They are known for delivering highly accurate testing results. 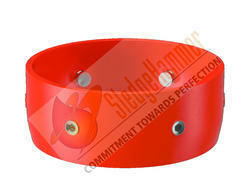 This hinged stop collar has an internal groove into which a spiral-locking pin is driven. The Slip on Set Screw Stop Collar is a single piece collar and the gripping force is applied by one row of setscrew. 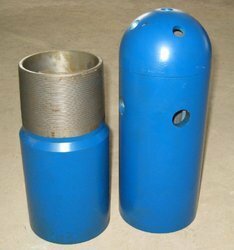 It is used where high axial load tighten the collar to the casing tightly. They slid the casing pipe without any issue and it is quite easy to install.These are most effective where low annual clearance is chanced upon. The stop collars come with a special Phosphate coating process that prevent it from getting rust and come in ranges starting from 4 1/2 " to 20 ". This comprises of a hinged collar and wire bristles are attached to it. It uses the hinge pins to secure the collars around the casing. On the other hand, the wire bristles are hardened and tempered. 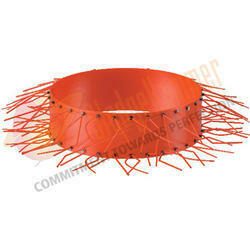 The bonding of the cement between the porous formation and the casing is improved with the use of wire scratcher. The sizes available are standard and customized according the requirement of the clients. 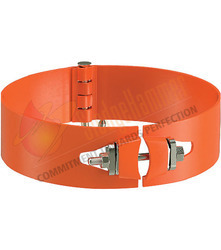 Sledgehammer’s Slip on Set Screw Stop Collars is single piece Collar that uses one row of set screws to induce the gripping force. It is used where high axial loads are expected, and is effective where low annular clearance is encountered. This Stop Collar is easy to install because it simply slides onto the casing. These Stop Collars undergo a special phosphate coating process to prevent corrosion and are then coated with a special polyester powder. The product is available in all sizes ranging from 4 ½“ to 20”. They are made up of two pieces and hinged at the two ends making it 180 degree apart. The gripping force is applied by one of the row of SetScrew which tightens the collar to the casing firmly. They can be fastened on to the casing pipe and much easy to install. They are most effective in conditions where there is low annual clearance. A special iron phosphate coating is applied on these collars to prevent it from getting rust. We offer wide ranges of Hinged Spiral Nail Stop Collar Ring are available in various designs applicable in many industries. Our products are highly demanded by many industries for their smooth operation and easy installation. They are long durable and effective in function. These are provided at reasonable prices as per the specifications mentioned by clients. These are most effective where low annular clearance is encountered. These are long durable and effective in functioning. SledgeHammer's Slip on Welded Single Piece Bow Spring Sledge Chakra is mad one piece welded at one side. Premium quality Bows have high restoring force uniform hardness all over. 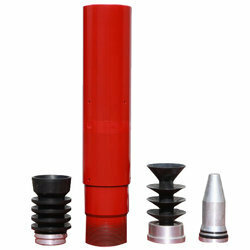 Slip on centralizers are provided for direct installation pipe by slipping on. 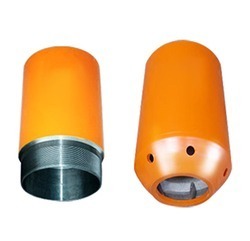 It has High tensile strength, high shock absorption value an impact value.In welded centralizers, welding can never be as smooth as the sin piece centralizer. Welding always be little overlapped or little exposed which cal friction to fluid while running in the hole but single piece centralizer have smoc corner radius which allow better fluid by pass and have low friction. 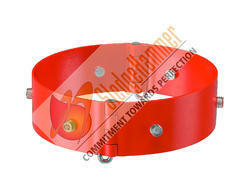 SledgeHammer Oil Tools Pvt. Ltd is incorporated in the year 2006. Since our incorporation we are engaged in Manufacturing, Supplying, Exporting and Wholesaling a huge gamut of Oil Field Accessories to our clients across the globe. Our range of products includes Standard Straight Bow Centralizer, Rigid Bow Centralizer, Cementing Plugs & Float Equipments, Solid Rigid Centralizer, Stop Collars and Dopes and Compound. Looking for Stop Collars ?